Woodward has been awarded two Pulitzer Prizes. He won the first along with Washington Post reporter Carl Bernstein in 1973 for their coverage of the Watergate scandal surrounding former President Richard Nixon. He received his second Pulitzer Prize in 2003 as the lead reporter for coverage of the 9/11 terrorist attacks. 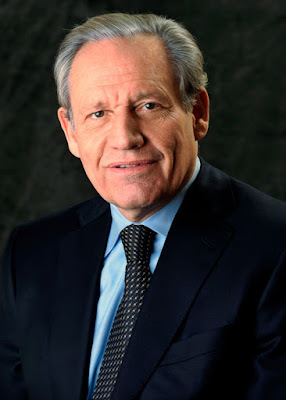 Woodward has authored or co-authored 19 books. Thirteen of them have been No. 1 national best-sellers. He has written books on the nine most recent presidents, from Nixon to President Donald Trump. Whitworth’s President’s Leadership Forum draws key national leaders to the Inland Northwest to provide wisdom and insight on a variety of contemporary issues. This event costs $50 per person or $500 for a corporate table (10 seats per table). Breakfast is included. Additional sponsorship opportunities are still available. Advance online registration is required. Please click here. Michelle Drennen, director of university events, Whitworth University, (509) 777-3449 or iaevents@whitworth.edu.